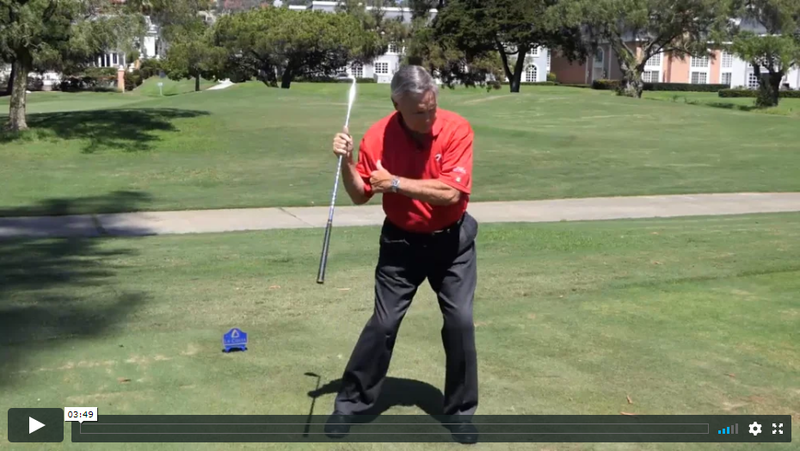 Everybody always asks “What starts the Downswing?” And WITHOUT QUESTION, everybody answers “The Lower Body”…Period! Some great players feel the Left Hip Shifting and Turning, others feel like their pushing off of their right foot, ad infinitum. One thing for sure that our force pressure plates prove that there’s a slight ‘Spike’ of pressure going down into the ground underneath the right foot. These ground forces are evident in nearly all great players – regardless of what they F-E-E-L is happening. I personally have always felt my Left Hip ‘Pulling’ my arms down, and I’ve never really related to ‘Pushing Off’ of my right foot. However, over the last few years, I’ve come across a different image and perspective, where I actually feel like I’m applying Pressure onto my right foot FIRST before the upper body begins to unwind. This image of PRESSING DOWN onto the right foot works better for me than the PUSHING OFF image. Imagine, that there was a pitching rubber on the mound that was underneath your right foot, and your first move was to ‘Slightly’ sink down on the rubber ever so slightly. Doing this motion will automatically propel the rest of your body into the shot and achieve a proper Kinematic Sequence – THAT MUST HAPPEN! Notice the white object just even with the baseball batter’s head in the split screen above. As the batter begins to stride into the ball, he pushes down somewhat into the right foot, and you can see that after doing so, his head drops slightly below the white object. There is nothing wrong with this as long as the Center of Gravity stays in control.